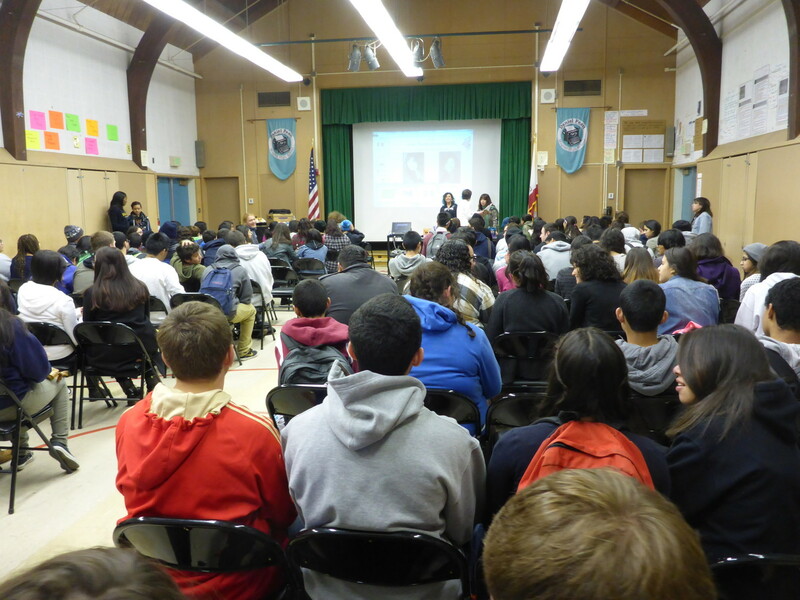 As part of a Teen Reads grant program initiated by Carol Tanzman, Elise Allen (POPULAZZI) and I visited a local high school. 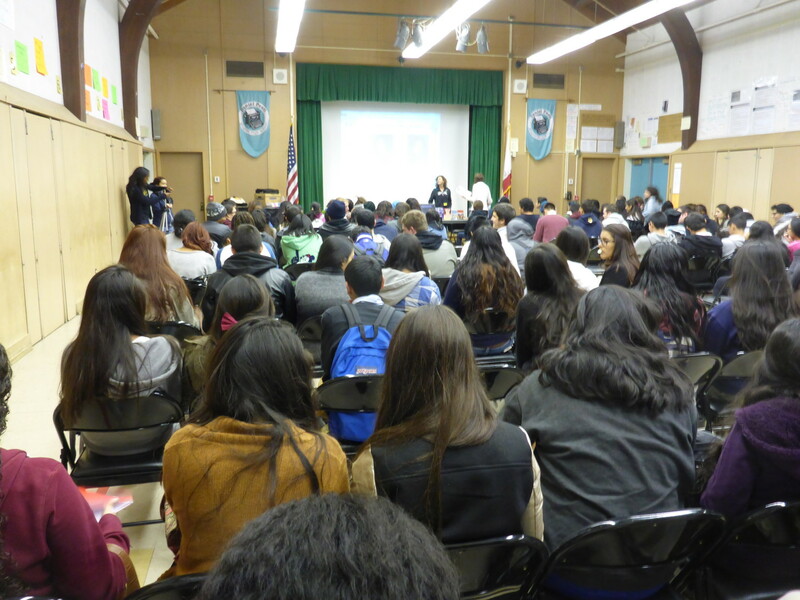 We spoke to two back-to-back sessions of students so after this one was over, these students left and the room filled with more. Elise was such a hoot – vivacious and funny, she showed a clip of when she was a TV actor that had all of us laughing. I loved doing this event with her. As part of the grant, many copies of our books were purchased for the library. 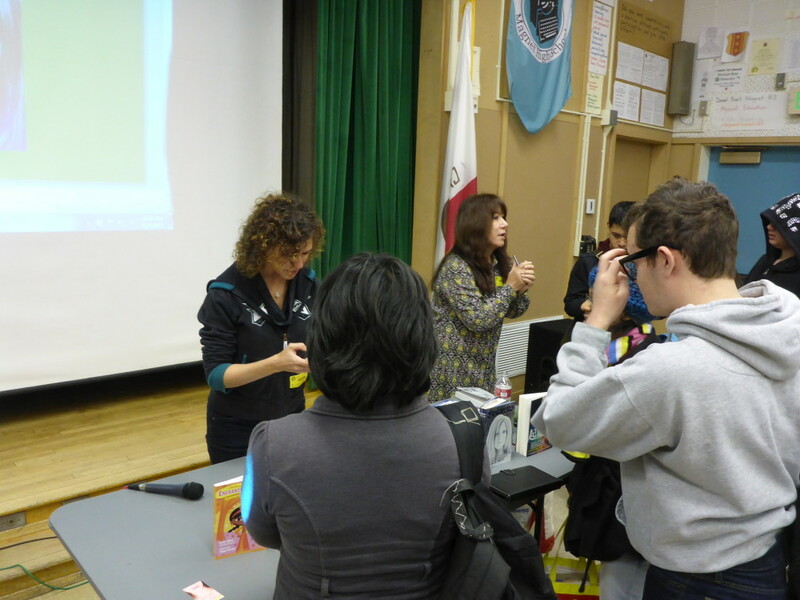 We also signed books for students after the event. A smart audience with good questions! Finally, we had lunch with the library reading group, headed by the hard-working librarian Tamara Celi (in white, between us). It is librarians like her who keep the students aware of new books to read and they are invaluable. She spent countless extra hours getting this visit well-organized. Tammie, thank you so much for your good work and thanks to the wonderful students! 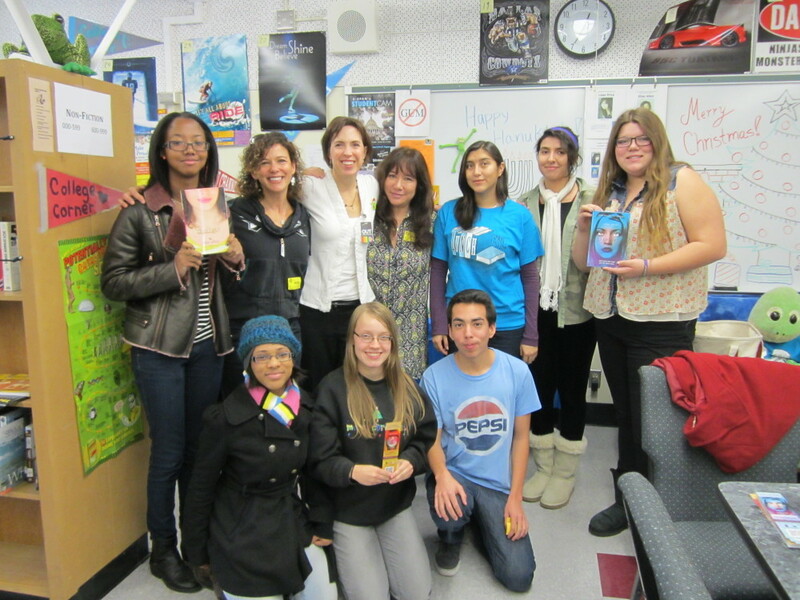 What a terrific grant written by author and educator, Carol Tanzman, along with Teacher Librarian, Karen Gibler! 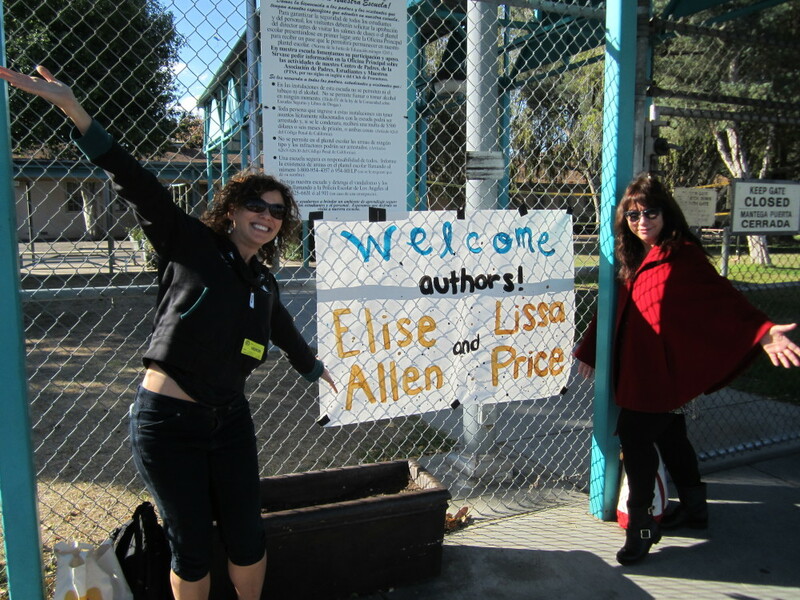 I was so lucky to be chosen to host both a Sci-Fi Thriller author and a Realistic Humorous fiction author – Elise and Lissa were a great team! My students will not stop talking about it! I just finally saw this! (I told you I’m a misery online.) I had the best time doing this event with you — so much fun and a spectacular day all around. Here’s to a glorious 2014 filled with amazing things for Starters and Enders! Hah! It was a great day. Thank you and the same to you and POPULAZZI! Enders launch party, Jan 7!